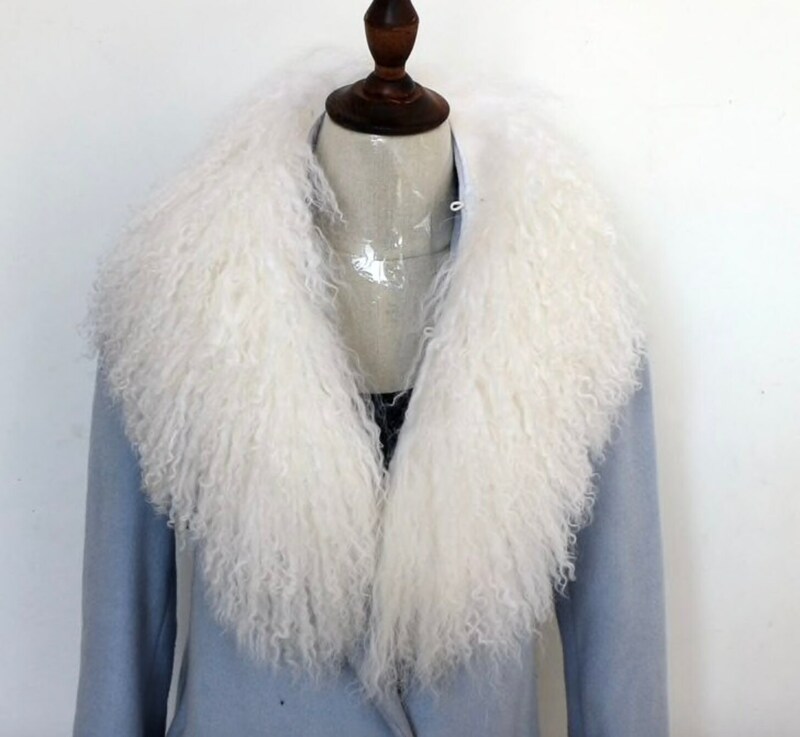 This listing is for a slightly shorter collar than my other listing for the Mongolian Fur Collar. This one is 80cm long. I have 3 colours to choose from. Black, white and grey. If you want other colours just let me know as they come in every colour you can think of. 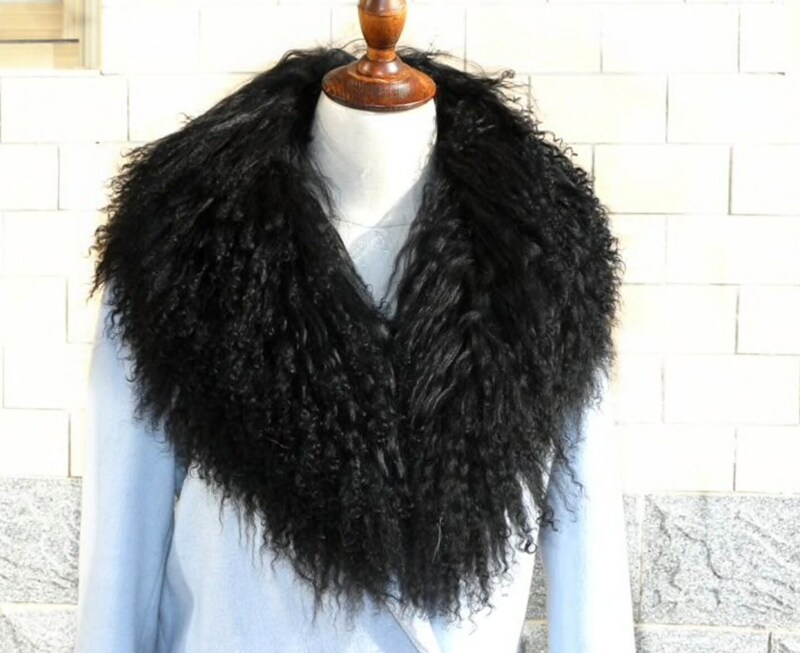 100% real Mongolian wool collar/scarf with lining on back side. Has clips/hooks as shown in photo.